To practice law in Malaysia, law graduates must become a 'qualified person'. A 'qualified person' may be admitted as an advocate and solicitor if he/she fulfils the requirements as set out in section 11 of Act 166. Under Act 166, a person must have one of the qualifications as i'm going to show below in order to be a 'qualified person'. There are some universities outside the country that are recognised by The Legal Profession Qualifying Board(LPQB), Malaysia. But this time, I'll only share the local universities. If your university is not listed, that means you must sit and pass the Certificate of Legal Practice (CLP) Examination by Qualifying Board in order to become a 'qualified person'. Qualifying Board is LPQB itself. 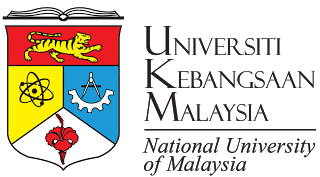 *Institut Teknologi MARA has been upgraded to Universiti Teknologi MARA on 26 August 1999. So basically, ITM and UiTM are the same. I prefer posting UiTM logo instead of ITM. **during the period of pupillage, students are required to undergo the "Training Programme on Conveyancing Practice, Drafting Pleadings and Opinion Writing" conducted by the Bar Council Malaysia and obtain a "Certificate of Completion".